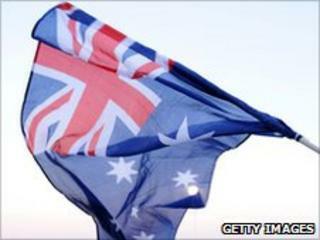 The Australian government is conducting an independent review of websites due to be blocked by its controversial internet filter. The country's Communications Minister, Stephen Conroy, said the review was needed to see if the scheme "reflects current community standards". The project has attracted widespread criticism over what is perceived by some as government censorship. Parliament has yet to vote on making filtering a legal requirement. Mr Conroy said the review would look at what makes up content that currently falls under a rating, unique to Australia, called "refused classification" (RC). In Australia, films that feature a high level of sexual or violent content, or that deal with matters involving "drug misuse or addiction, crime, cruelty, violence or revolting or abhorrent phenomena" and "offend the standards of morality" are rated RC and are banned from sale, although in most states it is legal to own or import them from overseas. The rating system also applies to video games and online content, which critics said did not work in a digital age. "Some sections of the community have expressed concern about whether the range of material included in the Refused Classification category correctly reflects current community standards," Mr Conroy said. Geordie Guy, vice chairman of the online liberties and rights watchdog Electronic Frontiers, told BBC News that the filtering was tied in with a rating that does not exist anywhere else in the world. "We're the only country to have a wacky category; this is the stuff that they intend to block," he said. "Although video games are rated Mature Audience 15+, the associated websites are 18s so all these websites would be blocked." A previous consultation into whether video games should be able to get an R18+ rating found that out of almost 60,000 votes, nearly 98.2 percent of Australians were in favour. "They said they would have a look at that [video games] and that's all we've heard," said Mr Guy. "Whenever there is a consultation, if the government doesn't get the answer they want, they either have another consultation or put it on the back burner. "Given that the goalposts on the filtering keep on moving - and the issue of who is going to pay for the costs - the earliest we could see the filtering bill go in front of the Australian parliament is September; but it could be towards the end of next year," he added. There have been calls for the filtering list, compiled by the Australian Communications and Media Authority, to be made public. The list has been available to the country's internet service providers (ISPs) who can voluntarily opt into the scheme. Three of the country's internet service providers have already agreed to block a list of sites linked to child abuse. Senator Conroy said the list could not be published because it provides "direct access to child abuse material", but would be regularly reviewed. "The public needs to have confidence that the URLs on the list, and the process by which they get there, is independent, rigorous, free from interference or influence and enables content and site owners access to appropriate review mechanisms," he said. But Mr Guy said that the government should publish the part of the list covering sites that are 'legal' in Australia, but fall foul of its rating system. "We shouldn't be cracking down on which sites people can view; we should be taking on the people who are running illegal sites," he said. The Australian Green Senator, Scott Ludlam, was quoted as saying there were a few reasons for the change. "We have got a leadership change, we have got an election looming and they are trying to clear away bad news," he said. "This issue has been a real source of bad news for the last 18 months and I think also we are seeing an acknowledgment of the deep flaws in the proposals."